Perhaps the Volkswagen Beetle’s greatest strength is its unwavering relevancy. Beyond its bug-like mold stagnancy, the Volkswagen Beetle has absorbed sufficient style cues, creature comforts and technologies in an effort to keep fans appeased–and it has worked. Now back for another model year, the new 2016 Volkswagen Beetle captivates Tampa with its contemporary desire fluency. A rear spoiler and Bi-Xenon headlights with LED Daytime Running Lights punctuate its iconic exterior–but in a way that doesn’t rid of its long-admired, sporty charm. Meanwhile, the Volkswagen Beetle’s cabin carries a wealth of opulent features. From its VW Car-Net® App-Connect™ and forward-thinking accident avoidance systems to its sport seating and leather appointment, the 2016 Volkswagen Beetle optimally balances fun and sophistication with practicality. Still available as either a hatchback, coupe or convertible, the 2016 Volkswagen Beetle leaves you with plenty opportunities to customize. 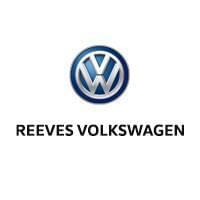 And not only is the new Volkswagen Beetle part of our lineup here at Reeves VW but is priced competitively, courtesy of its ongoing incentives. Save on a legend by making the quick drive over from Clearwater, St Petersburg, Wesley Chapel and Greater Northdale to join us today.